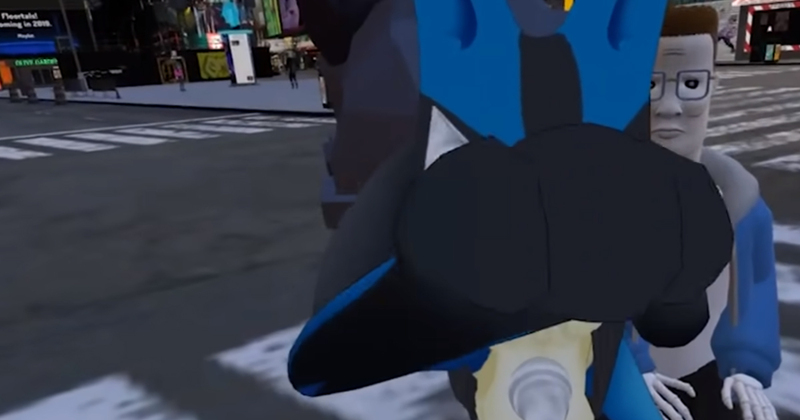 I’m not gonna pretend I understand VRChat. As a complete outsider to the virtual reality based MMO, I’ve always found it to be a really strange place full of unsettling digital avatars that just isn’t for me. That’s fine, obviously. Not everything has to be for everyone. But a new video shared by Disrupt has helped me to see what a liberating tool VRChat can be for some people, as a number of players were asked to talk about their biggest regrets in life. The majority of answers are pretty much as flippant as you might expect, as a Detective Pikachu tells the interviewer he regrets hitting that pedestrian with his car that time, and another (I think a character LazyTown) laments not putting enough milk in his cereal. But some players opened up a little bit about genuine regrets. One talked about how they regretted joining the military at such a young age, and one particularly earnest Lucario said they regretted not turning in an assignment on time, costing them a C when they could have gotten a B. The real gut punch story however, comes from a small Panda (of all things). He tells us that he regretted not spending more time with his mum while she alive. Apparently growing up, it was just him and his mum. While she absolutely doted on him and loved him, and did all the things a truly great mum does, he claimed she was a little bit unusual. He explained that she used to talk to the trees in their back yard, often having “full blown” conversations with the greenery. She would occasionally make the two of them take photos outside with the trees -something he never really understood as a kid. 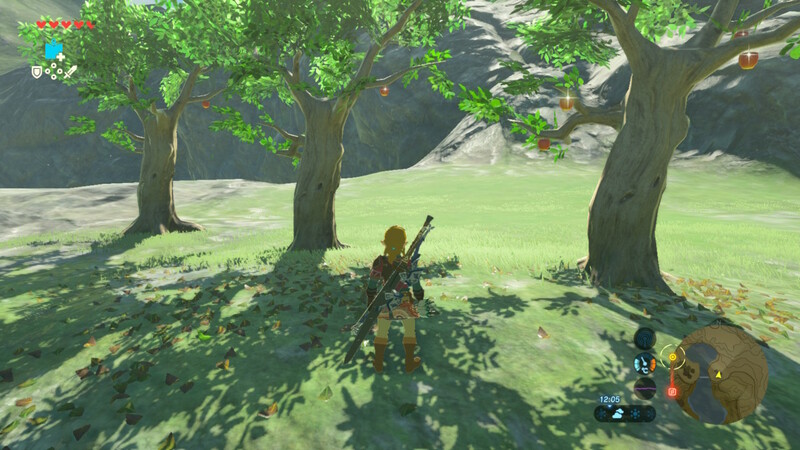 There were three trees in total, and she even named them all; Daphne, Carl, and Joseph. As Panda grew up, he tried to stay near to his mum as she didn’t really have anyone else. But as he left college, fell in love, and got a job, he found it harder and harder to stay in touch regularly. One day, he got a call to say his mum had passed away after suffering from a stroke. She was found outside, by the trees. After a small funeral, Panda took his mum’s urn back to his family home and discovered his mum had one request for him; look after and talk to the trees. While Panda took care of his new charges, he could never quite bring himself to talk to the trees like his mum did. That all changed when, one day, Panda decided to go through some of his mum’s old things. In a desk, he discovered some papers that turned out to be three still-born death certificates for three babies; Daphne, Carl, and Joseph. Panda had never known he’d had siblings, but immediately understood the significance of the trees and why his mum would spend so much time with them. Ever since that day, Panda has taken his mum’s last request seriously and often talks to the trees. He even planted a new one for his mum. 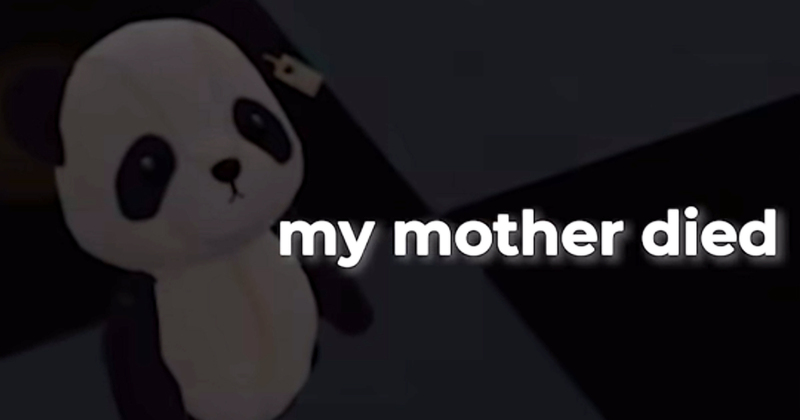 I can honestly say I never expected a small Panda avatar in an online VR chatroom to make me cry, but here we are. Now go and call your mum, if you can.